I’ve been blogging for more than ten years now, and I thoroughly enjoy the process. However, one thing that I dislike about blogging (especially if you blog a lot) is how easy it is to neglect your old content. Imagine this: you spend hours and days researching the topic and writing an article to never come back to it after a year or two of active blogging. Only a couple of my articles from all those 10 years of writing keep coming back to me (they are still being referenced by others, and I get reminded of them through monitoring my name and seeing blog trackbacks). Most of my content goes down into the blog archives, and I seldom or never go back to look at it again. And most bloggers I know are like that. They are more focused on finding new topics and writing a new article than analyzing if they’re doing their best to utilize what they wrote in the past. And it’s a real shame: the content you wrote a few years ago is a huge asset. It has already accumulated some authority through backlinks over the years, and it may be getting clicks too. You may be one step away from seeing a solid boost in traffic. 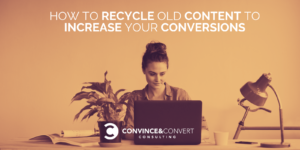 Or you may be losing conversions because that older content doesn’t have your up-to-date calls to action. 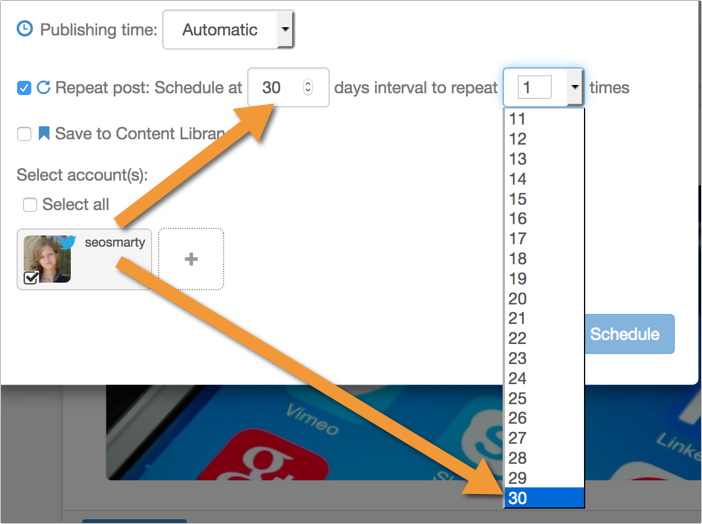 In either case, make old content optimization part of your monthly (or at least quarterly) blogging routine. You can boost your conversions without you having to write a brand-new article. Here are a couple of ideas. Have you checked your most successful content recently? You probably have, but here’s a quick reminder: do it! 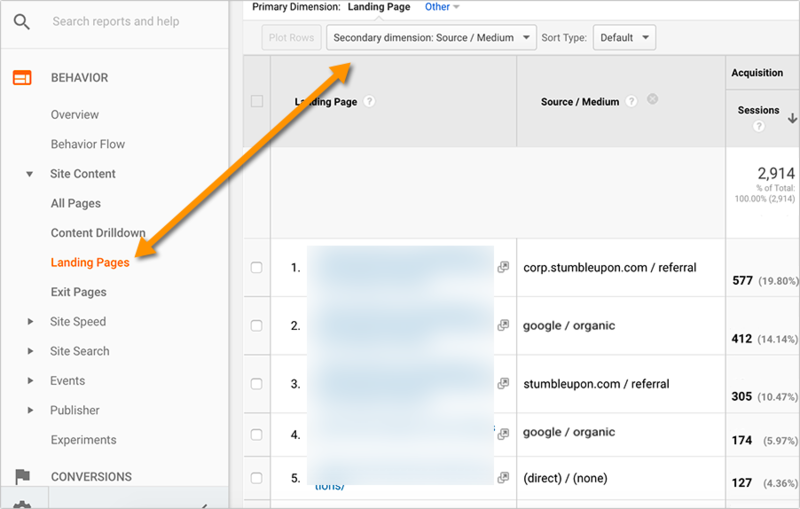 And if you use Google Analytics, it’s very easy! Select “Source/Medium” as a secondary dimension, and increase the number of rows to at least 100 to get a better picture. From there, brainstorm the best way to optimize your best-performing content so you generate more leads but not lose incoming traffic. The easiest way to optimize your well-performing old content is to add an easy-to-notice in-content link to your main landing page. This will also improve rankings of your important money page because internal linking helps pages rank higher in Google. Another pretty non-intrusive way to add in-content call to action without being too “salesy” is to use a two-step opt-in option. 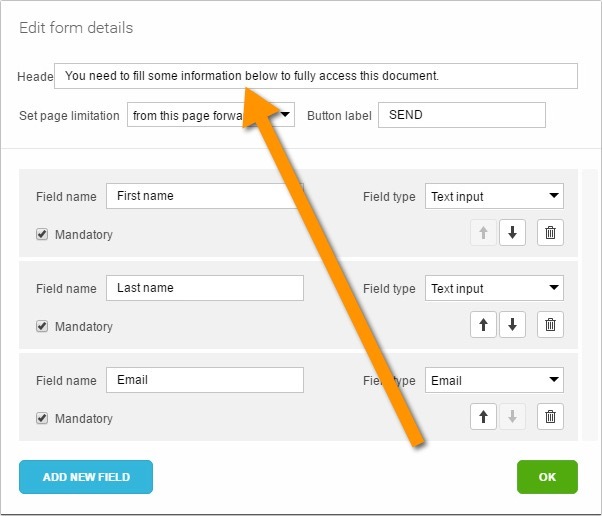 With a two-step opt in, readers don’t see a form right within content and have to click a link for it to load. 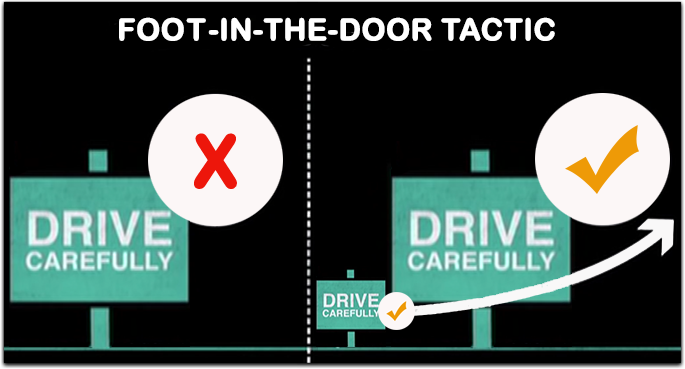 The two-step opt-in option is based on the concept known in persuasion psychology as “foot-in-the-door tactic”, which means that once users click a link inviting to sign-up and download, they feel more inclined to actually convert. Saying yes to a small request (e.g. clicking the link that invites to subscribe or download) predisposes you to say yes to a bigger request (e.g. to complete the form and opt-in). This is a very popular in-content conversion optimization tactic because it doesn’t force opt-in forms inside the content and thus looks very legit. You already use visuals within your articles. Why not make them part of your conversion funnel? Images catch the eye, and adding a quick CTA will not hurt their visual appeal. Here’s a great tutorial on adding more actionable context to your images. You can try other alternative lead generation channels using visual and interactive content. Flipsnack is one I’ve tried. With it, you can turn any PDF file into a mobile-friendly flipbook, embed it within your content and activate a lead gen option to collect emails from those engaging with your flipbook. While you are there looking through your best performing content pages, you are likely to notice some of your content not performing as well as you’d hope. It may still get clicks, but you naturally want more. 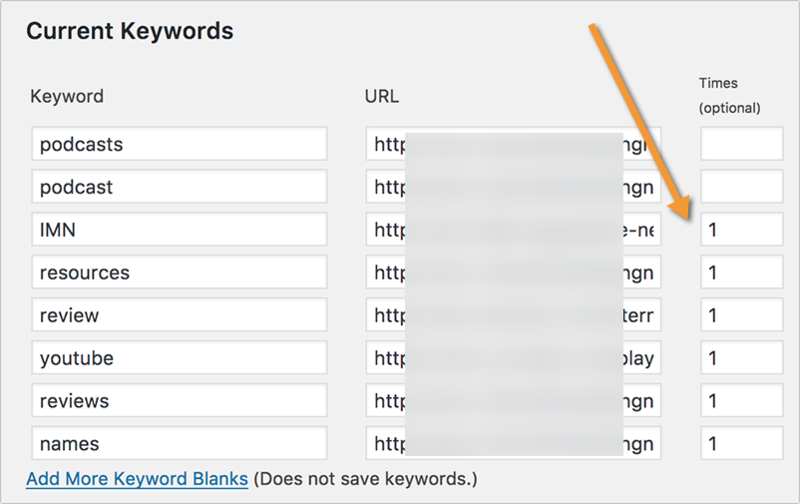 Save those URLs to explore what you can do to improve their performance, especially when it comes to search referral traffic. That one is usually there to stay. The first step is to analyze if you are doing your best when it comes to selecting the most effective keywords. 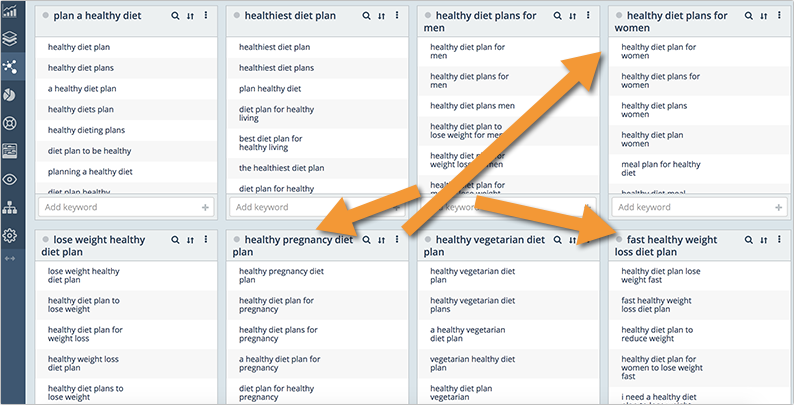 Run your usual keyword research routine based on each article topic and identify some phrases that may have some potential. If the topic is not too specific, you may want to cluster (i.e., group) those keywords to optimize your content for several of them. It’s a great tactic for re-addressing your old content rankings and making sure your blog posts target a group of related keywords instead of just one. These powerful SEO plugins for WordPress can also help you optimize your old content more efficiently. You can also add that tweet to your library to find it easily after years have passed and bring it back to your Twitter feed with one click. ViralContentBee [Disclaimer: This is the project I co-founded] is a free platform that puts your content in front of active social media sharers. One of the biggest benefits of using it is that, as long as you keep adding credits to your content, it will rotate your content again and again, bringing you fresh shares to your older (but still useful) content. I have about four years worth of content rotating there, and I see it shared to this day, bringing ongoing traffic. 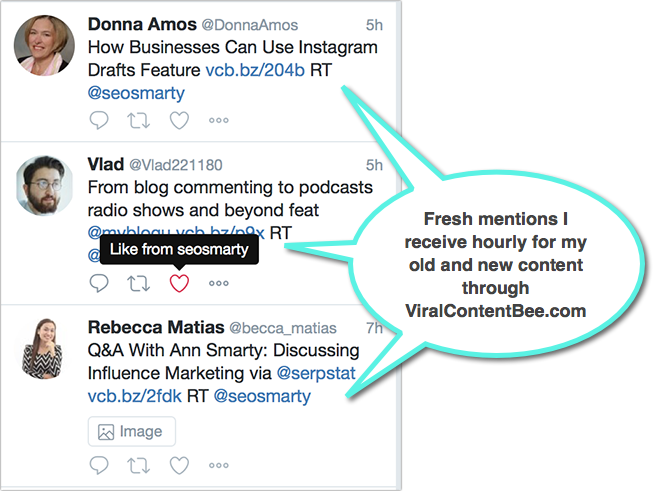 Apart from the obvious benefit (of putting my content in front of more people who can link to it), these social media mentions also bring that content to my attention. This encourages me to update it if anything becomes out-of-date or to write a follow-up. Good luck making the most of your old content!